You know how those promos always have this asterisk beside the price or the item name with a teeny tiny print at the bottom of the page? The asterisk here is that the US$229 price tag is just the fare — taxes charged by each country is excluded. This excludes the tax you would have to pay at the airport in Indonesia. You would also need to pay the Php 750 airport tax when leaving Manila. A rough conversion of the total amount to peso comes to Php 14,000, which isn’t bad considering that this is for four flights on Malaysia Airlines, and not on a budget airline. With flights from Kuala Lumpur to the following Southeast Asian cities: Manila, Hanoi, Ho Chi Minh, Siem Reap, Phnom Penh, Yangon, Bangkok, Phuket, Singapore, Medan, Jakarta, Yogyakarta, Surabaya and Bali, the ASEAN Pass is definitely a tempting deal. Of course, there are other conditions: the first segment of the trip must be confirmed upon booking, while the other three can be open dated. However, if you have settled on a date already and want to have your ticket reissued, a fee of US$25 will be charged for each reissuance. The pass is valid for up to three months, which is especially good for those who want to take their time traveling around Southeast Asia. The Malaysia Airlines ASEAN Pass is available through the airline’s ticketing offices and appointed travel agents both in Malaysia and in Singapore, Brunei, Thailand, Indonesia, Philippines, Cambodia and Vietnam. For more information about the ASEAN Pass, you can contact the Malaysia Airlines’ booking and reservations hotline at (02) 8873215 (Metro Manila) or (032) 238 1554/1502 (Cebu). 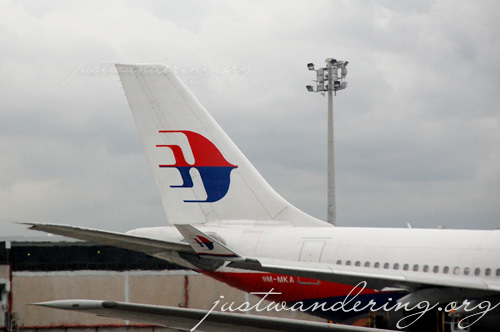 You can also visit the Malaysia Airlines website for information and online booking. A four-destination trip for 14,000 pesos? with adjustable flight schedule? Interesting. I would like to ask if it is 14,000 for one-way destination or is it in all 4 destinations and back to manila? It’s for all four destinations already, including the flight back to Manila. I have made an inquiry about the ASEAN Pass and learned that all your flights to other Asian destinations should originate from Kuala Lumpur. I believe it would be more feasible and convenient if a passenger can fly directly to his next destination without the need to return to Kuala Lumpur. Hi Madam, I am Neil Manalo, I want to make booking to MALAYSIA – DUBAI – DAMMAM. Please see the below info. Please make booking on June 9, 2011 or June 7, 2011.